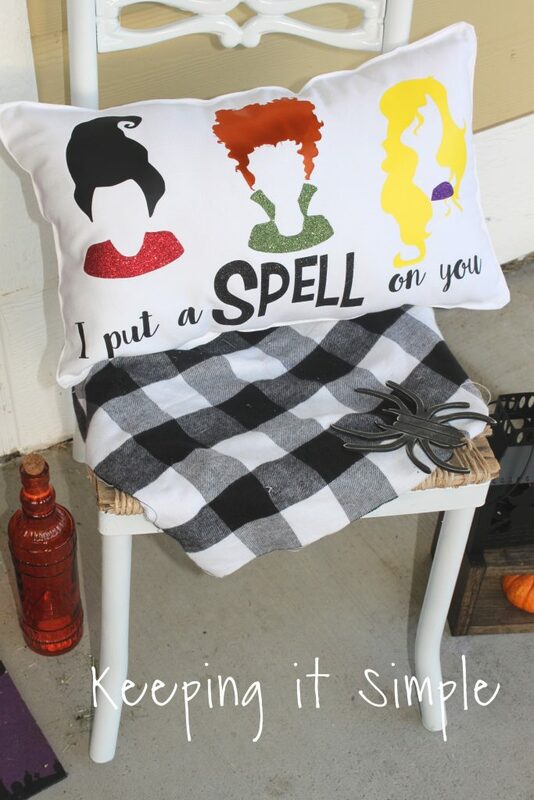 I am a huge fan of Hocus Pocus, I watched it all the time as a kid and now every Halloween I watch it with my kids and they love it too! Oh the classic 90’s movies, they were the best! 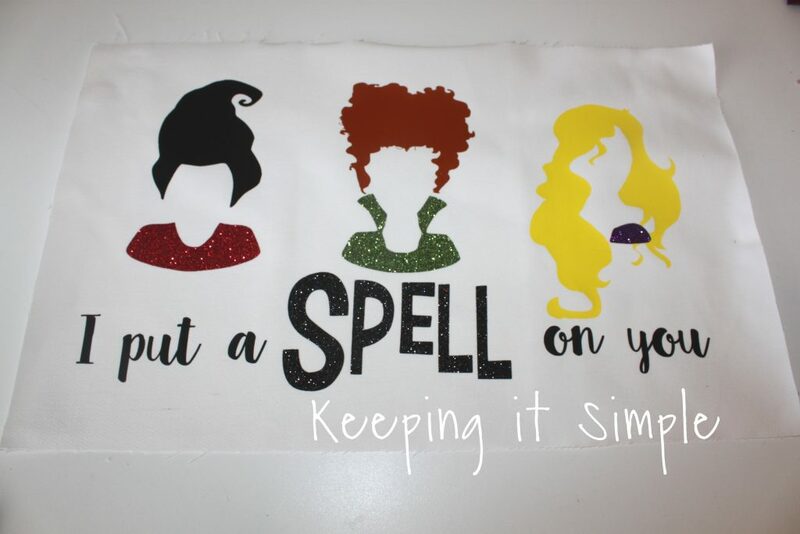 I have been wanting to make something involving Hocus Pocus for awhile now and I’m so glad that I did. 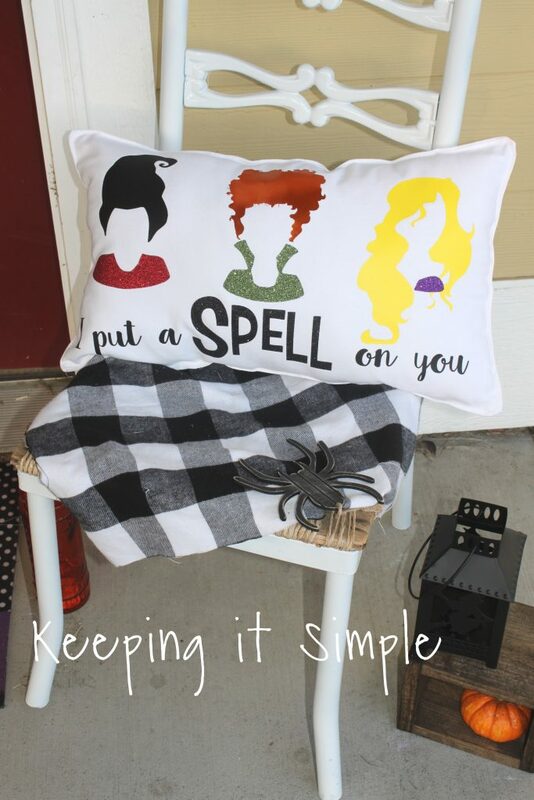 This Hocus Pocus pillow is so great and I love that whenever someone comes to my house, they will see it! 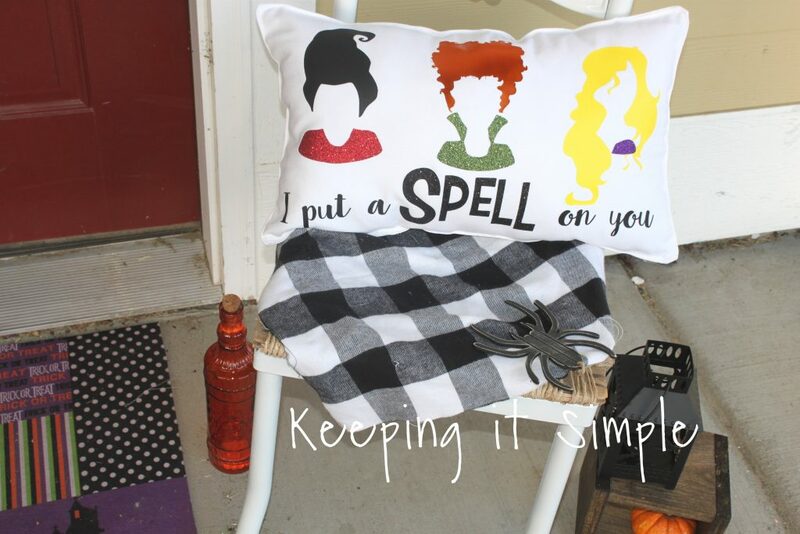 Here is a quick video to show you the process of how to make the Hocus Pocus pillow. First, I took some heat transfer vinyl and cut it. 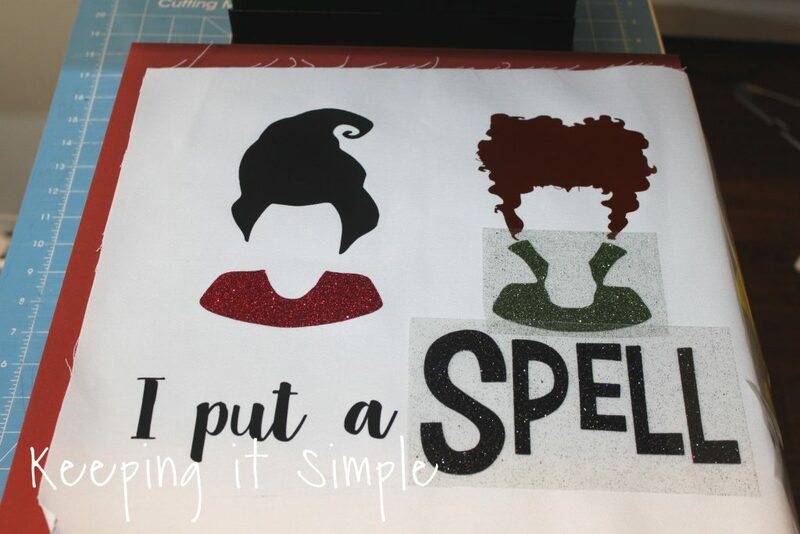 For the hair and the script words I used a smooth heat transfer vinyl and for the clothes and the word SPELL I used a glitter heat transfer vinyl. 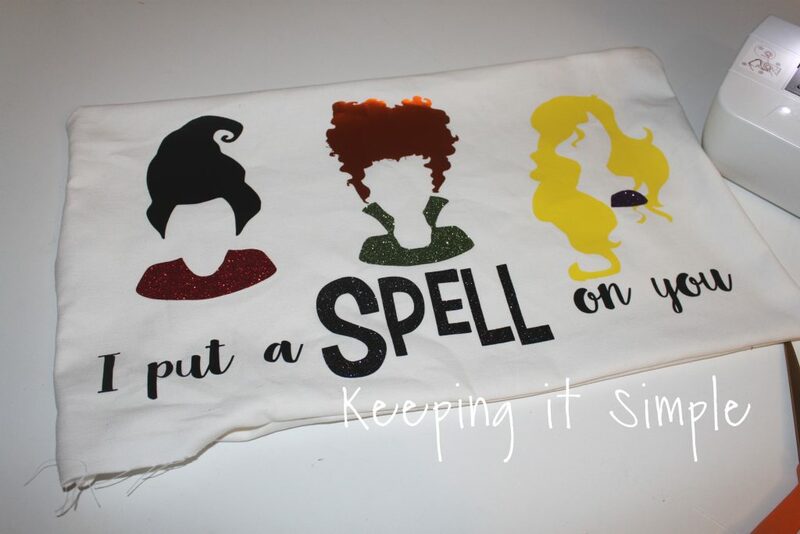 For the smooth heat transfer, I used the colors black, lemon yellow and electric orange. 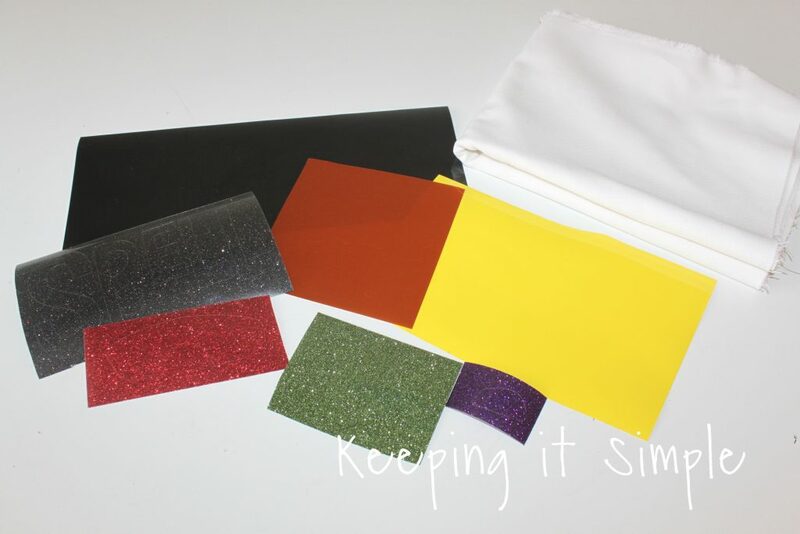 For the glitter HTV, I used the colors galaxy black, red, purple and dark green. 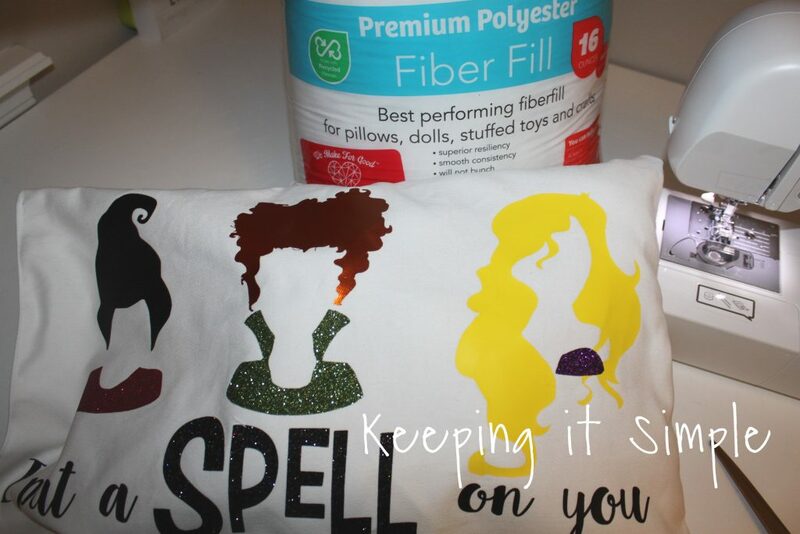 I also used a duck fabric for the pillow, I made the pillow but you can use a pillow cover too. 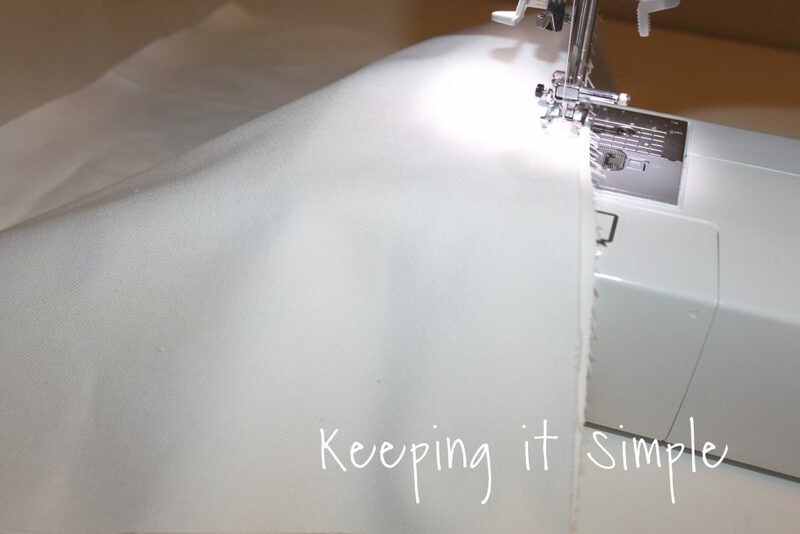 I cut the fabric to be 22 inches wide and 14 inches high and then I arranged the design onto it before pressing it in. 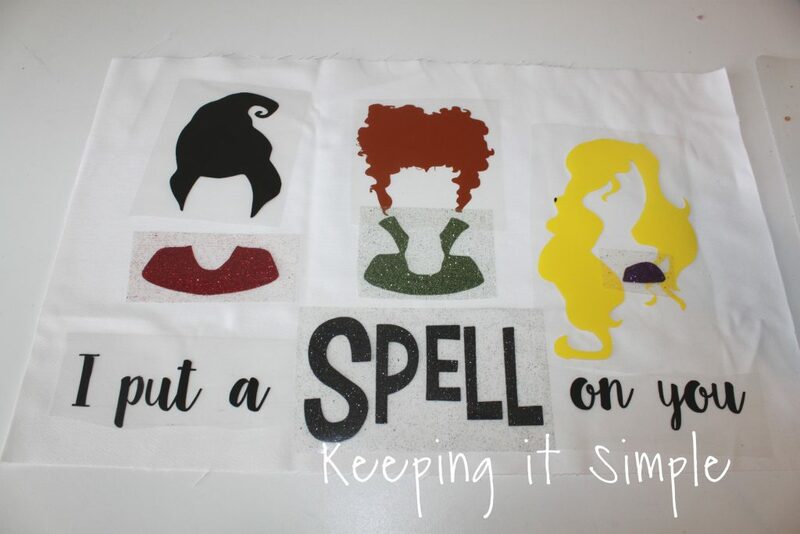 Using a heat press, I pressed the design into the fabric. I set the heat press to 305 degrees and pressed it for 15 second. 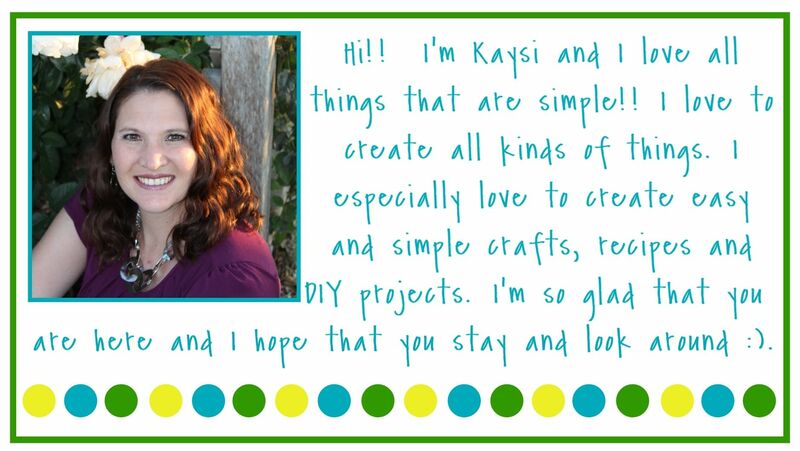 When I did the different layers, I used a heat press cover sheet so it wouldn’t stick to the design. 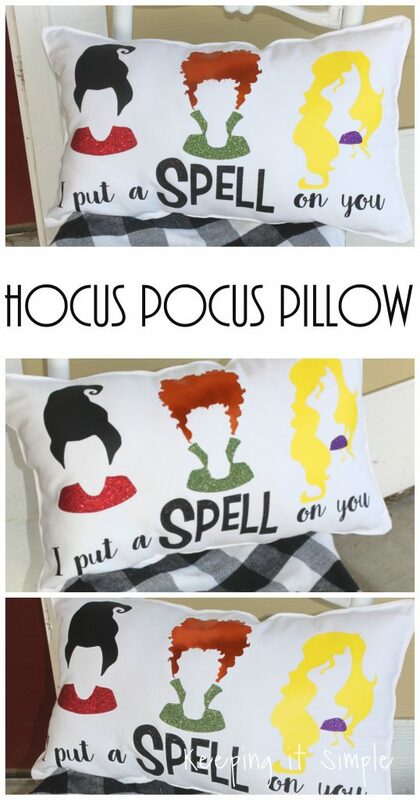 You can also use an iron to do this too. 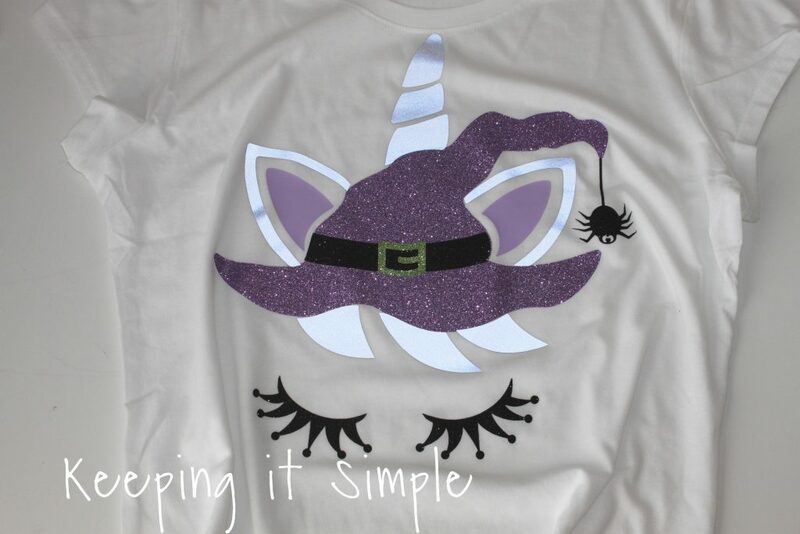 Here is the design all pressed into the fabric, I love it! Winnie is my favorite though :). Since I didn’t have a pillow insert that was the right size, I didn’t make an envelope case, instead I just made a pillow. So I cut another piece of fabric that was 22 x 14 inches and then sewed it onto the other piece, put right sides together. 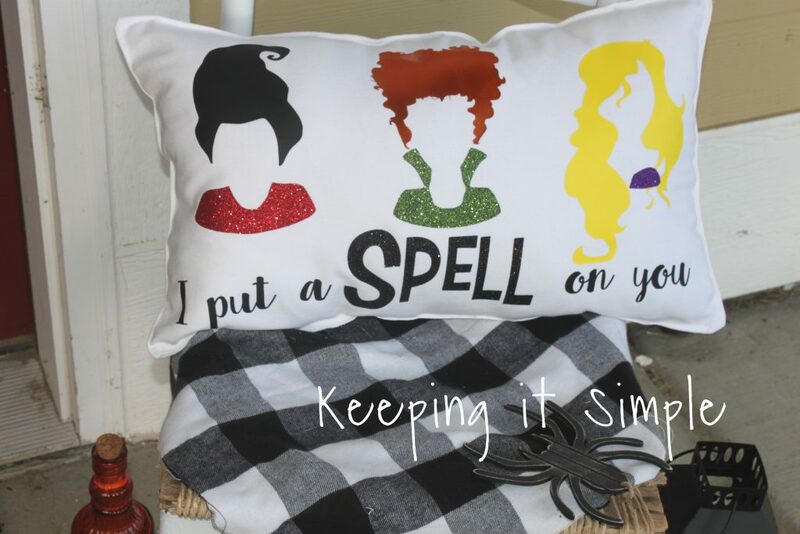 I sewed all of the sides except for a 4 inch gap so I could turn the pillow right side out. 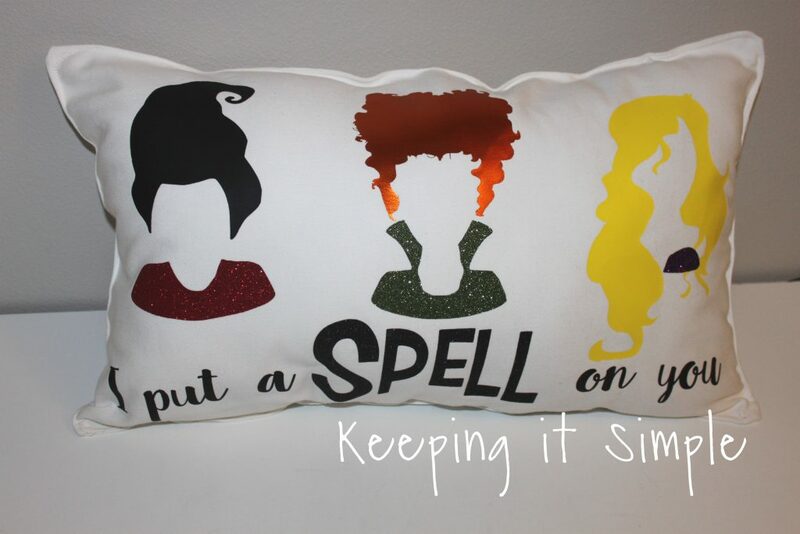 Once the stuffing was all in, I sewed up the hole and did a top stitch all around the pillow. And that’s it! 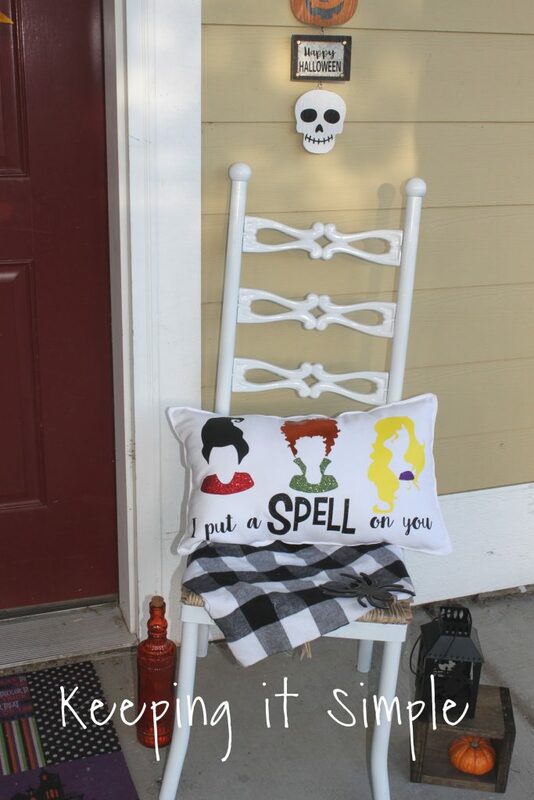 I love how it turned out and I’m so excited to have it on my porch. Here it is with a few other scary decorations. I still need to finish the porch to make it all spooky! 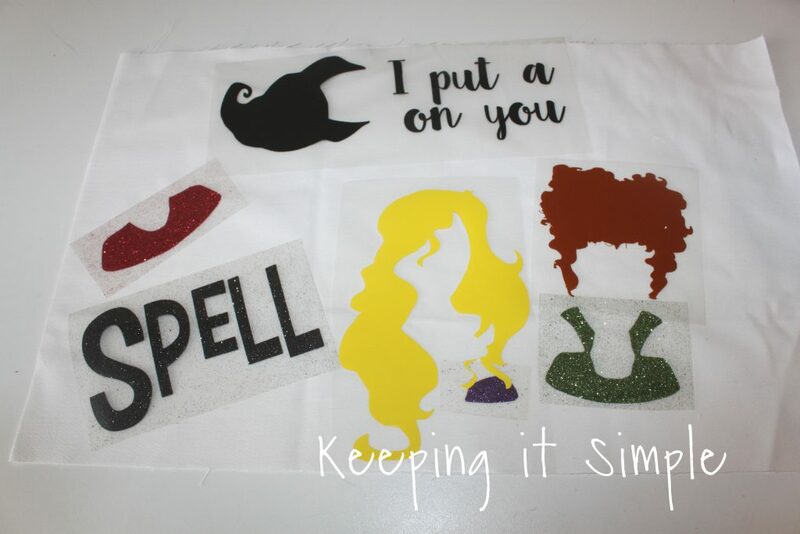 I seriously love how it turned out, I love the difference between the smooth and glitter HTV and how it looks all together. 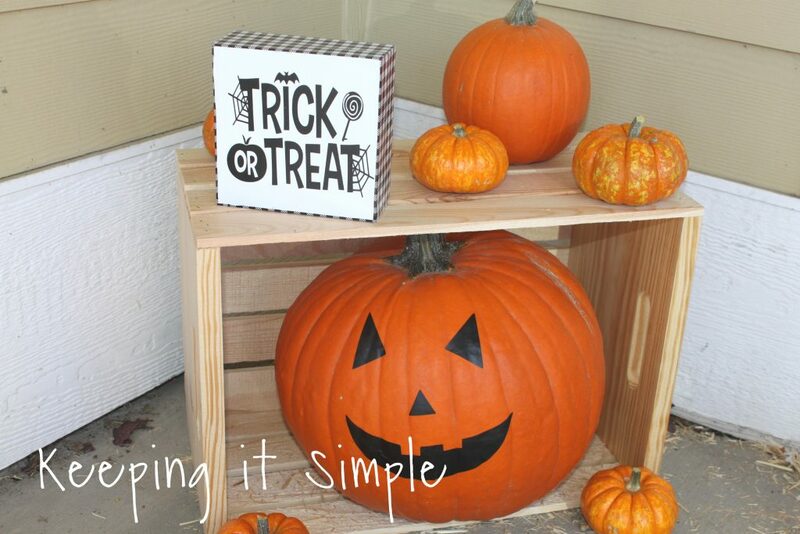 Check out my other Halloween ideas! !